You guys are into free music, yeah? 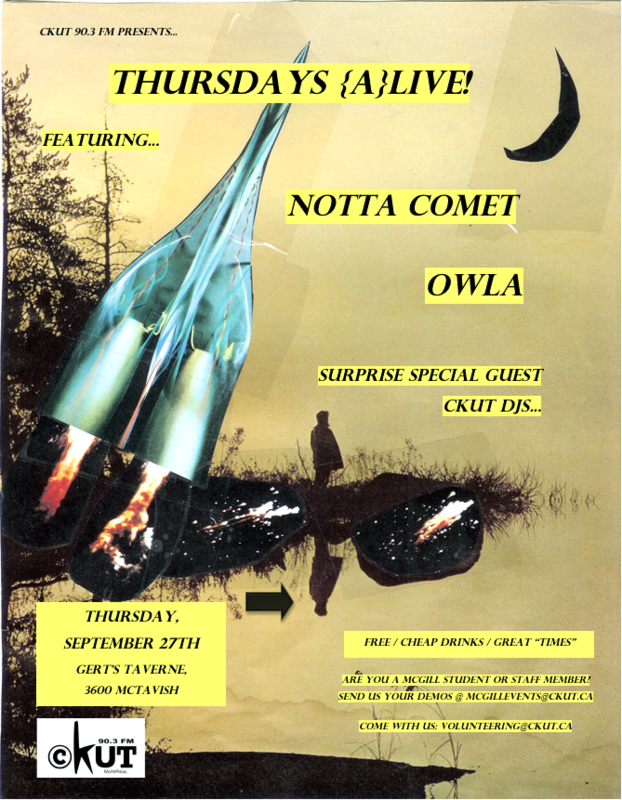 You might wanna check out this show happening tomorrow at McGill featuring a stellar cast of McGill student bands like Notta Comet (who have taken their spoken word + DnB hybrid and transformed it into a four piece act) and OWLA (who make “free-floating melodic drone” that promises to stimulate your eardrums). Plus, don’t miss CKUT’s World Skip The Beat DJs spinning ridiculously fresh earworms and extra special dance grooves! This entry was posted in Events and tagged Concert Listings on September 26, 2012 by admin. Joni here, your new music dept contact replacing the lovely (and very much missed) Amber here at CKUT. Some of you may know me from CHUO but for those of you who I haven’t talked to before, then hi! It’s been a crazy few weeks here as I packed up all my belongings and moved here (by greyhound – whew), but I couldn’t be more excited to be in Montreal and working with the great crew at CKUT. Amber and everyone at the station has made me feel right at home, and having POP MTL kick off right after my move to the city has made for some pretty excellent adventures so far. Tracking hrs will stay the same, Thursdays 1-4pm EST. 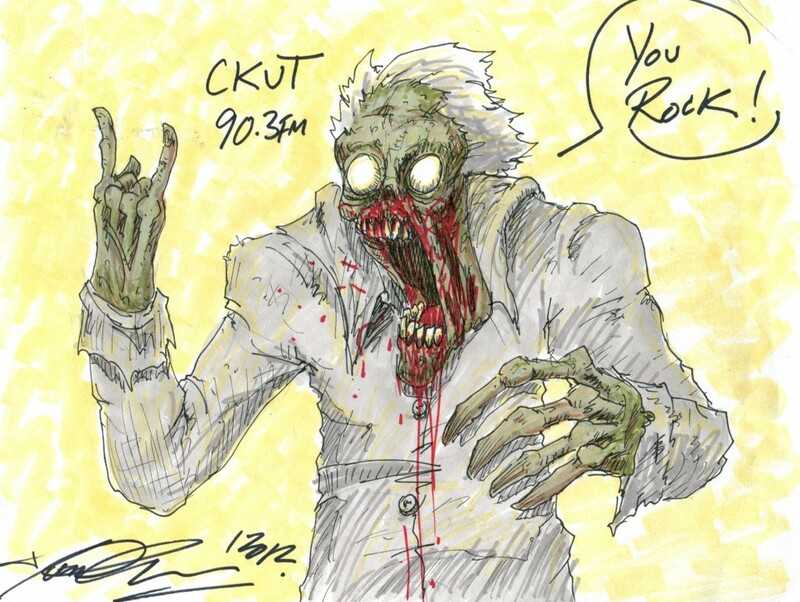 Gimme a shout for all yr CKUT music needs! This entry was posted in Charts on September 26, 2012 by admin.